The latest version of web browser Firefox will make changes to the way people search for information online. The new browser has been designed around the importance of search to users. Firefox 3, currently going through its third stage of beta testing, will offer a combined search and bookmark tool via the url bar. It will also allow offline working. Chairman of the Mozilla Foundation Mitchell Baker says: "It's clear that when people are looking for information on the web, search is the number one activity. We've devised ways to bring that power into areas that are closer to your individual life". Typing "cameras", for example, into the url bar, will bring up a list of the sites that the user recently visited that have cameras in their names. "If you buy a shoe, that’s all you need to remember - we will use search, as you've come to expect it, to help you find the places that you have been visiting," - says Ms Baker. "It will be faster, sleeker, and even easier to use. In terms of features, we've tried very hard not to bloat the interface but to keep it simple, the way people like it, and to have new things appear when you need them." -she said. The other substantial change will be the ability to do much more offline, with the browser "remembering" key data that is usually lost when an internet connection goes down. This is designed to allow the user to continue to work when traveling or in remote areas where wireless access is patchy. Firefox is currently the second most popular browser, although its 12% share is dwarfed by that of Microsoft's Internet Explorer. 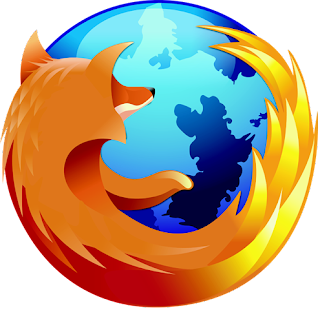 It has, however, substantially grown from its launch - first as Phoenix in 2002, then as Firebird, and finally ending up as Firefox in February 2004. Ms Baker said that when Mozilla issued Firefox 1 they had one staff member, but hundreds working on different aspects of it. Now they have 150 employees around the world, and "tens of thousands" working on the software. Mozilla is run as a not-for-profit organization, and advocate of open source coding. Also it is to admire that Mozilla Messaging; the new mail focused subsidiary of the non-profit Mozilla Foundation, has already begun operations on February 19. The initial focus for Mozilla Messaging is the development of Thunderbird 3, which will deliver significant improvements, notably integrated calendaring, better search and enhancements to the overall user experience. “We're excited to renew the focus of our open source community on the future of Thunderbird. Each and every one of us is committed to building a great email product that people will love to use and that serves as the foundation for choice in a critical area of Internet software.” - said David Ascher, CEO, Mozilla Messaging. “Thunderbird email is a vital part of the Mozilla project which brings freedom to hundreds of millions of internet users worldwide,” said Marten Mickos, CEO of MySQL AB.